Made in Germany Easily fitted to most keyboards - can be filed for finishing to exact sizes. Extra thickness makes it possible to cover all imperfections in old keys, an insures against unevenness so often apparent when thinner key covering material has been used. 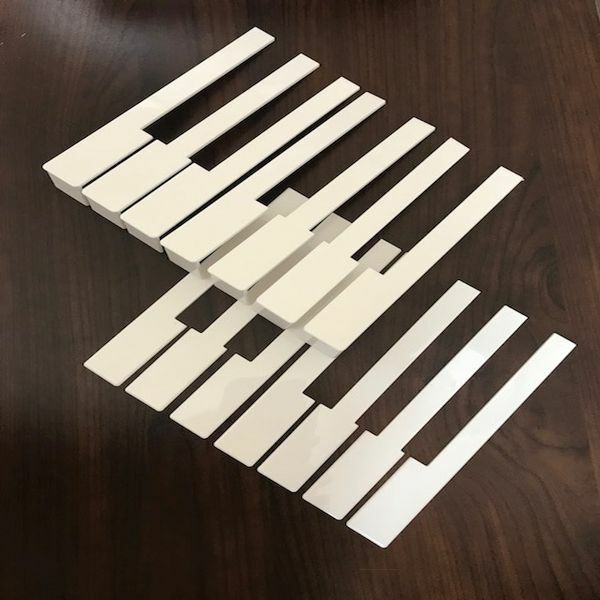 One set consists of 52 keys. They make my century old piano's keys look lovely. Not as warm to the touch or as pleasing to my finger tips as the original ivory but no elephants were killed to make the new ones. Yes. I would recommend these beauties! Keys arrived as you said. The keys fit, look great and work well. Consequently, the piano is now functioning and an enjoyment to play. They look great on my piano. 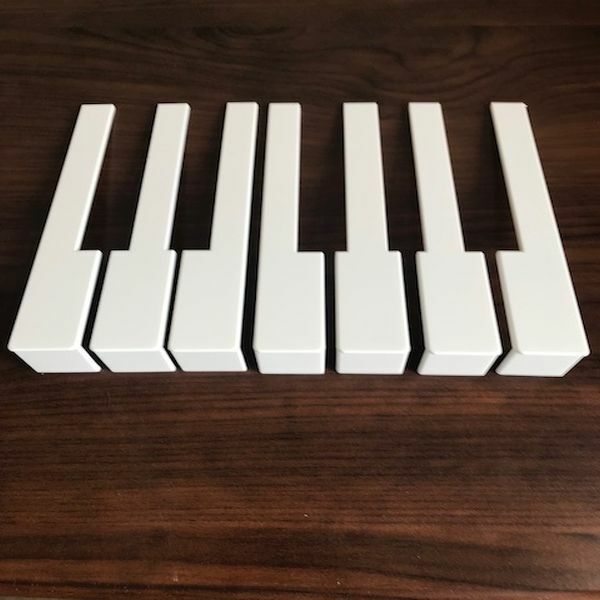 The texturing in the plastic makes the keys look more classy than a solid white plastic. These fit very nicely and were so easy to install. 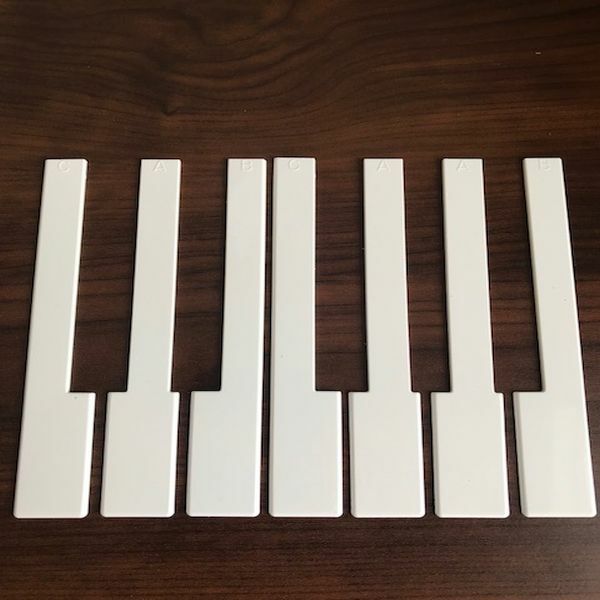 Piano keyboard looks like one on a new piano in a piano store.